It’s always convertible weather somewhere. Just not right here right now — unless of course you keep the top up and the heater on high. 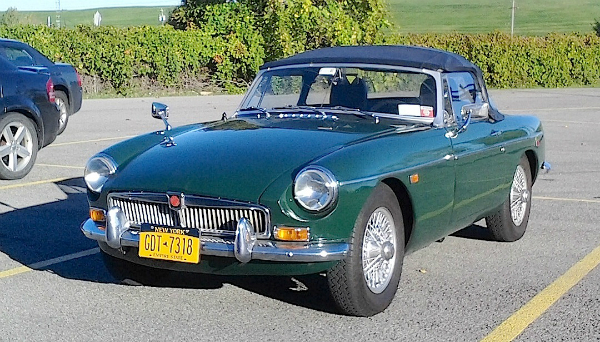 Saw this 1969 MG one day last week in Niagara Falls, sunny enough for top-down driving, but certainly not warm enough. These were the last of the good-looking MGs, that is, before our federal government starting mandating those terrible-looking five-mph bumpers, which unfortunately MG did not wear very well. Jim Corbran, RRofWNY …and check out our Facebook page: Non-American Classic Cars The post RealRides of WNY appeared first on Buffalo Cars.